This does seem unlikely but Ghaith Al Ghaith, CEO of Dubai-based airline flydubai was recognised as the ‘Aviation CEO of the Year’ category at this year’s CEO Middle East Awards held last week in Kuwait. Recent events suggest that this award was poorly thought through. On 19 March 2016 flydubai Flight 981 crashed during an aborted landing at Rostov-on-Don Airport, Russia, resulting in the deaths of all 62 passengers and crew on board. Flight 981 aborted its first landing attempt and went into a holding pattern for nearly two hours before making a second landing attempt. After aborting the second attempt, the aircraft climbed sharply then descended rapidly and crashed onto the runway. A final report from the investigation of the incident has not yet been released. The CVR transcript has not been released. Two years on – how is the industry supposed to learn from this incident when the report takes this long to be released – and what (other than the motives of the various interested parties) is holding up the report? A fatigued crew; disorientation, a two hour hold; possible pressure from flydubai’s network control/operations to hold for Rostov rather than divert to an alternate. The CEO has a responsibility to his colleagues, crew and the traveling public to be visibly pushing for this final report to be issued. There is no evidence of that. With a hull loss and crew and passenger fatalities in the recent past flydubai appears ill-qualified to be awarded CEO of the year. Add to that the a loss of AED316.8 million for the first half of 2018 even as the budget carrier’s revenues increased by 10 per cent. The losses were more than twice the Dh142.5 million loss recorded in the first half of 2017. Fuel costs will remain an issue and a significant full year loss is likely. 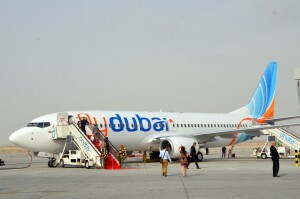 Launched in 2009 flydubai’s network now extends to over 90 destinations in 48 countries. As for where the award could have been given; a couple of possibles; there are no doubt others: Qatar airways Group Chief Executive, Akbar Al Baker, for navigating his airline through the illegal blockade by his GCC neighbours including KSA, UAE and Bahrain. Gulf Air CEO Krešimir Kučko, who has overseen the rebranding and refocusing of the Bahrain-based carrier.